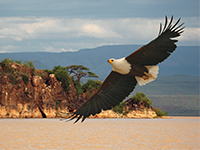 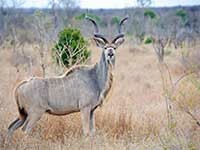 Botswana is one of Africa’s premier wildlife destinations and thus, a popular African holiday choice. 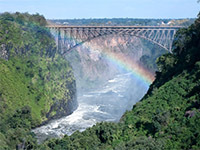 A beautiful country of breathtaking landscapes teeming with wildlife, it has managed to convert its natural resources into sustainable wealth for its people. 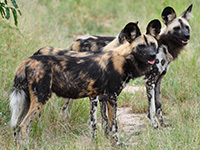 Botswana's geography is mostly flat land with a major part occupied by the Kalahari Desert, and the rest by Okavango Delta, an unspoilt reserve for wildlife and the world’s largest inland delta. 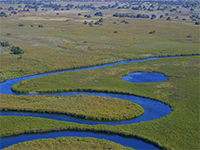 The Okavango River and Chobe River provide water for millions of migrating animals each year. 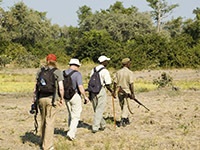 Popular things to do in Botswana: Travel in a mokoro (canoe) along the Okavango Delta and view the Nile crocodile, hippopotamus and the lechwe jumping across the reeds. 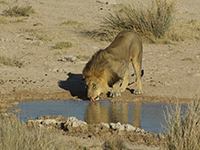 Journey across Chobe National Park and Makgadikgadi Pans to sight the Big Five—African Elephant, African buffalo, Lion, Leopard and Black Rhino. 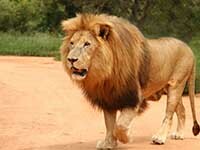 Travel to Botswana to witness one of the world’s largest concentrations of wildlife.